President Trump offered Americans another glimpse into a political discussion at the White House Monday. He was leading a meeting with the nation's governors to discuss how to act in response to the mass shooting at the Marjory Stoneman Douglas High School in Parkland, FL. Before offering the microphone to several governors in the room, the president shared his own suggestions. He first wants to address mental health. The Parkland shooter was a mentally disturbed 17-year-old - "a boiler ready to explode," as Trump put it. But, he hadn't committed a crime yet, so we couldn't put him in jail. "In the old days you put them in the mental institutions," Trump offered. There used to be such institutions in New York, but the government closed them because of cost, he recalled. We need to considering bringing them back because "we have no halfway" between mental health institutions and jail, he said. 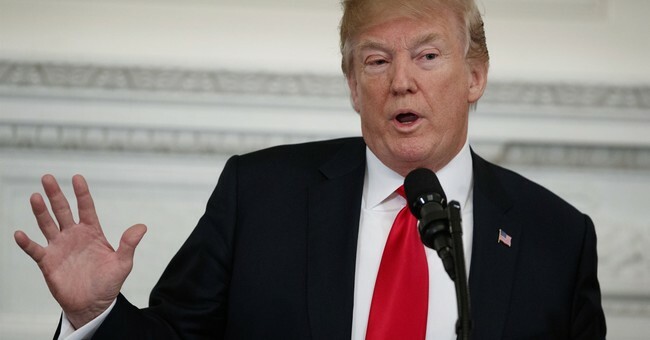 Trump also suggested improving the warning system and reiterated his plan to arm teachers who have firearm experience. If would be killers knew "they're going to end up dead," they wouldn't go near that school. Trump said he would also be willing to give bonuses to teachers who are armed. The president still supports a ban on bump stocks, adding Monday that he is prepared to write out the legislation himself. He also mentioned plans he rejected. One such suggestion he heard was to fill schools with smoke to confuse the criminal. How would police be able to see where they're shooting, the president wondered. He said he "talked the person out" of that idea.